Is anybody interested in an all-expenses paid trip to Battle Mountain? Mike will be at Darley/Leicester if you'd like to have a chat with him about it there. ps what's a Soup Dragon? This in spite of DHL apparently claiming they delivered to $HOTEL in Las Vegas for the team to pick up en route. USA customs probably could smell a whiff of Soup Dragon lighter fuel . Hence you often see clouds of grey smoke from the nose during startup . 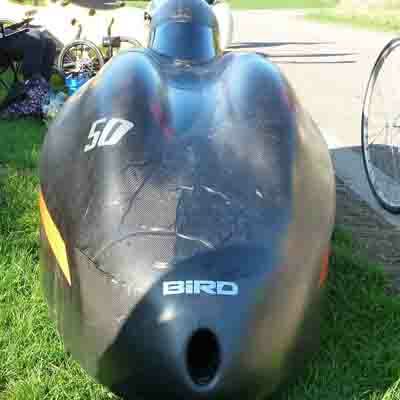 Mr Burrows may have forgotten to flush out the secret A and B fuel tanks before shipping from the UK ? Look forward to your Battle Mountain reports and Mustang test drives ? unless described by the driver as "That sh*tbox Dodge"
Not all vans are created equal. Indeed, some are nailed together on the wrong side of the Atlantic.